Wired discusses next-gen gaming and reveals some of the first screenshots of Epic Games' Unreal Engine 4, you can read about it over here. Making a splashy videogame used to be something that a small group could accomplish. Now it takes a small army. “Call of Duty was a game that a team of a few dozen could develop on PlayStation 2,” Sweeney says. “Now Activision has hundreds of people working on Call of Duty for the current-gen consoles. What’s supposed to happen in the next generation? Are they going to have 4,000 people?” To combat the bloat, Sweeney has stuffed UE4 with tools that promise shortened production pipelines and lower production costs (and all the profit that such efficiency represents). How does that happen? 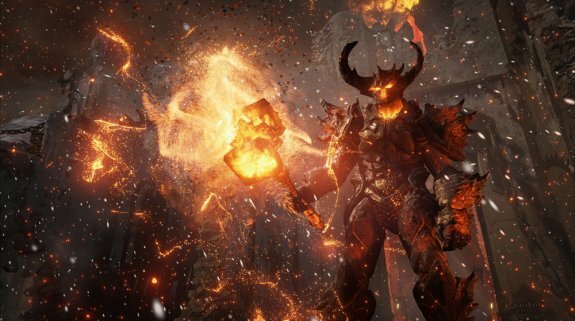 For one thing, Unreal Engine 4 allows developers to see changes to the game instantly, as they work. Current production pipelines have the least WYSIWYG process imaginable: For example, when lighting elements are altered, computers have to parse the data and figure out how to render the changes. Depending on the extent of those edits, this process, sometimes called baking, can take half an hour or more. UE4 removes that bake time entirely. The effect it could have on studio workflow is staggering..